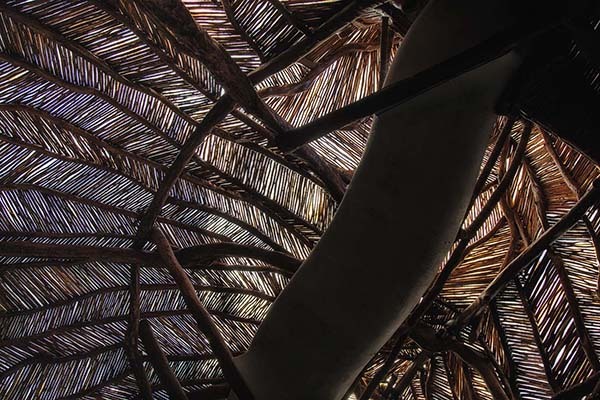 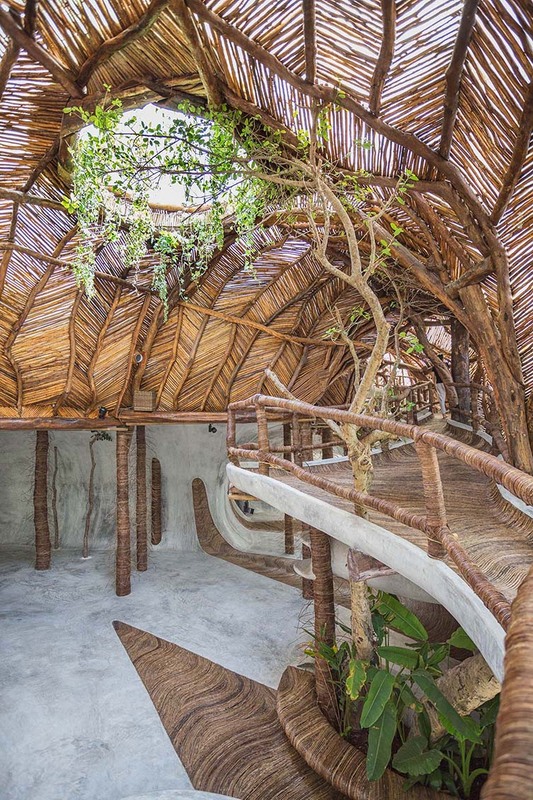 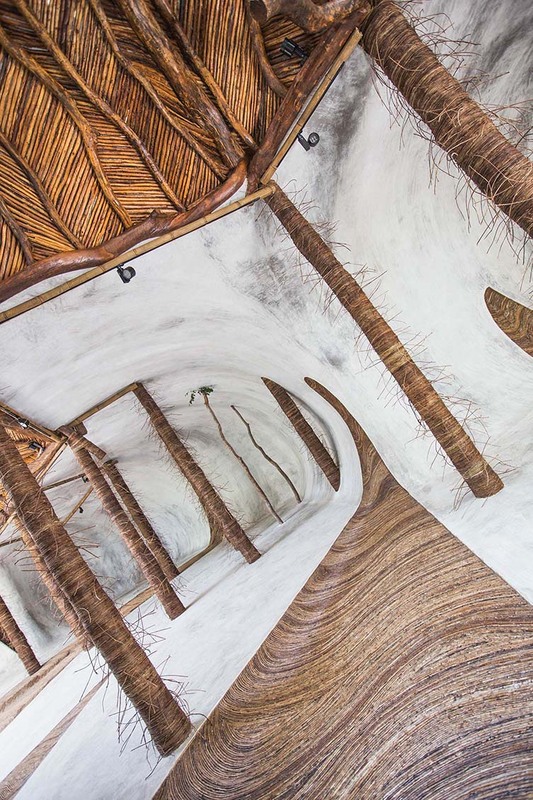 IK LAB Tulum, located in the famed resort on Mexico’s Yucatan Peninsula, opened earlier this year—the contemporary arts space a fitting cultural addition to the bohemian town. 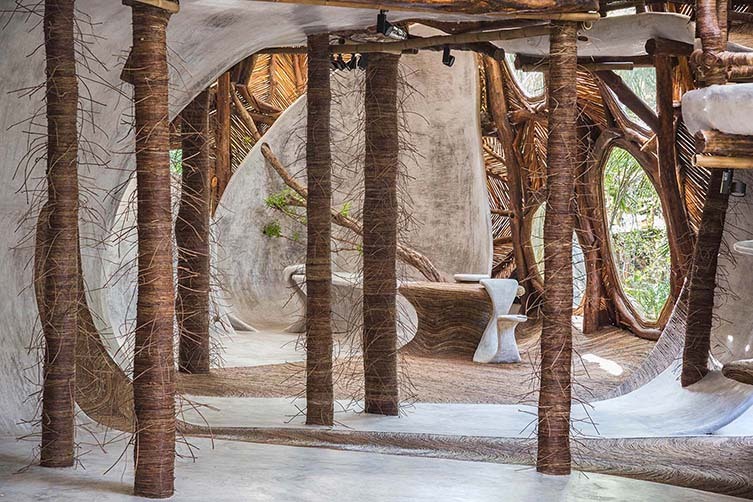 Situated within Azulik, an inspired sanctuary of inimitable luxury caught between the Mayan jungle and the shore of the glistening blue Caribbean, IK LAB’s environmentally-conscious design and architecture captures the spiritual heritage of its surrounds; whilst redefining the relationship between art and its physical environment. 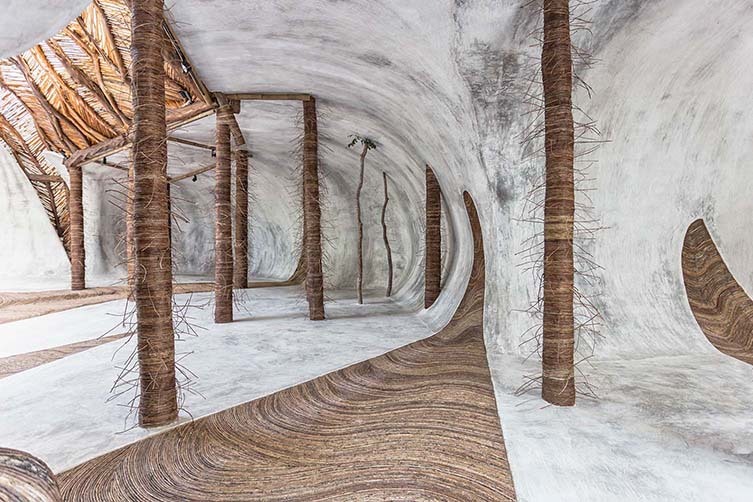 This is no white-walls gallery space. 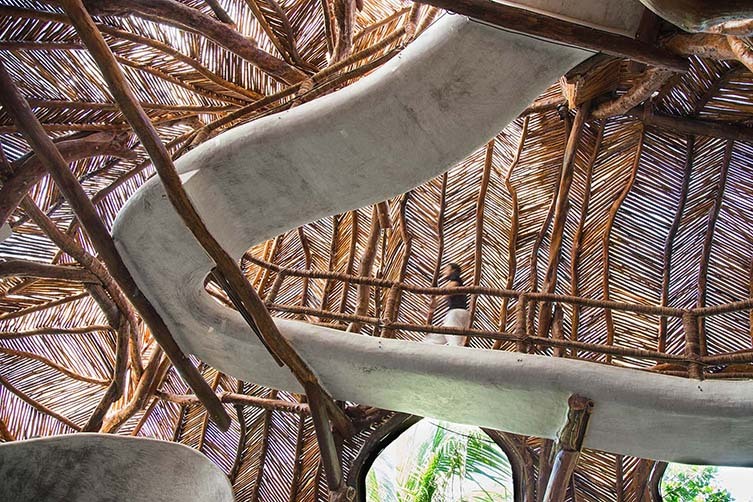 Santiago Rumney Guggenheim (great-grandson to Peggy) acted as the co-initiator of IK LAB Tulum, and co-curated its inaugural exhibition, Alignments, together with artistic director Claudia Paetzold—conceived in collaboration with Azulik founder, Jorge Eduardo Neira Sterkel, the gallery challenges its artists with a space devoid of straight walls and floors; creating an entirely individual environment from which creative minds can explore their own relationship with galleries and conventions. 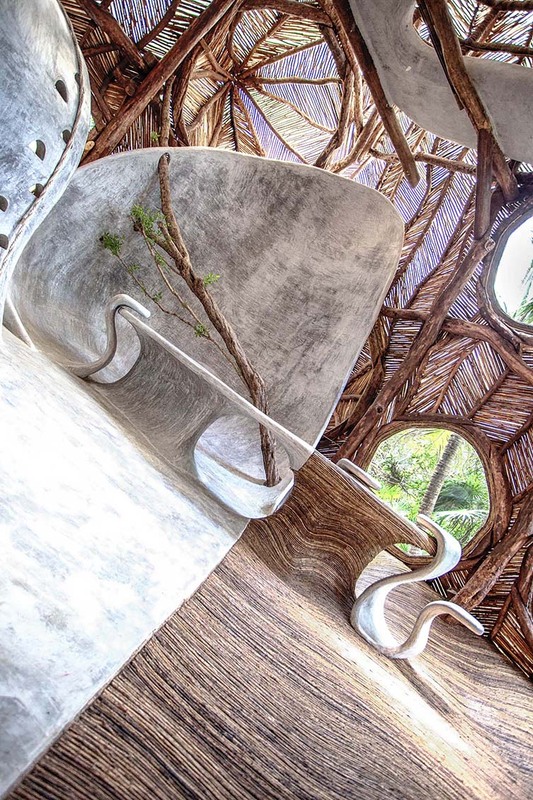 Unprecedented in that the gallery will showcase a roll call of prominent international artists, breakthrough exhibitions, and cultural experiences, IK LAB is striving to provide a framework for likeminded individuals to interact with visionary architecture—which includes crossing a river deep in the jungle and a walk over water to simply enter the space. 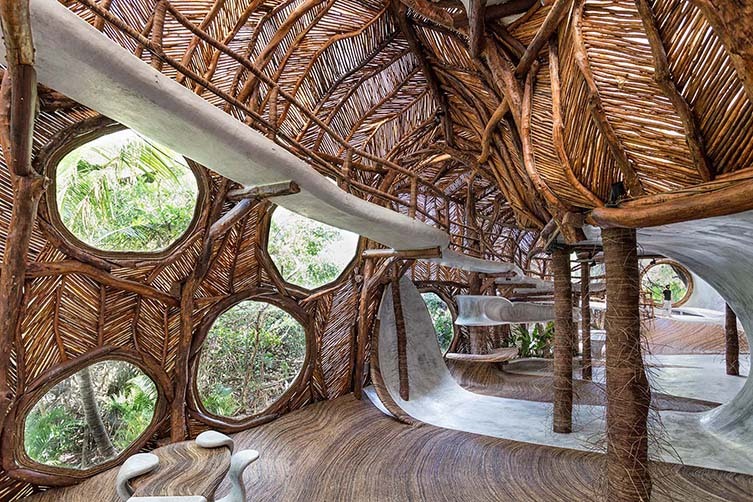 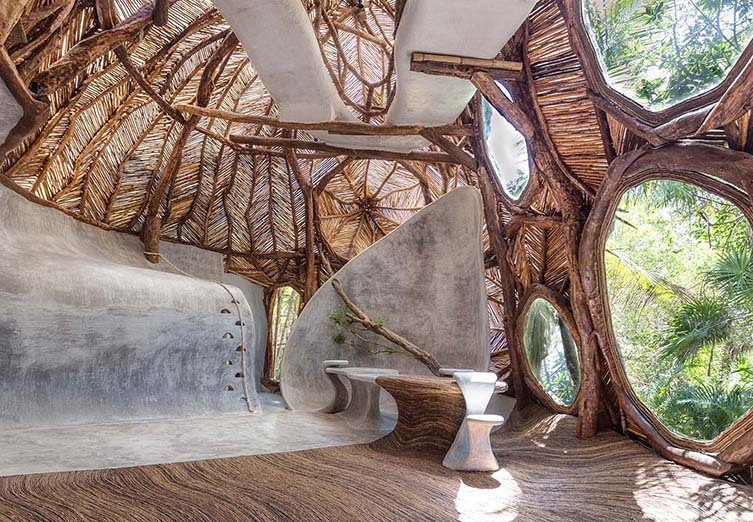 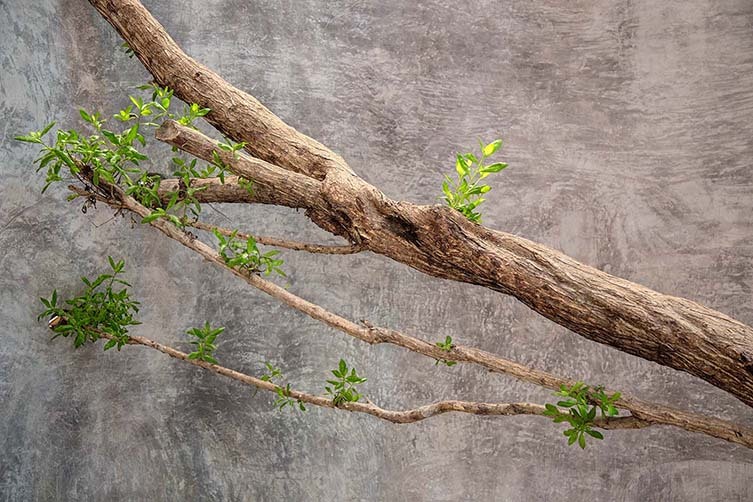 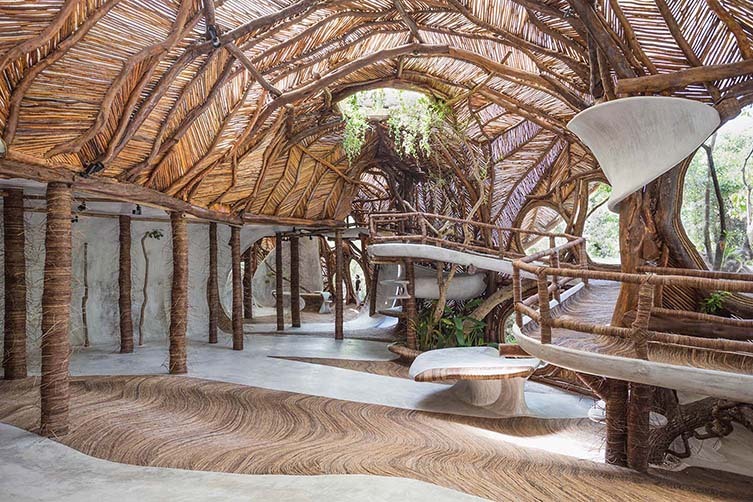 Surrounded by nature and natural materials, visitors are expected to interact with the gallery, walking barefoot over wooden floors, the humming sound of the jungle inhabitants always close by. 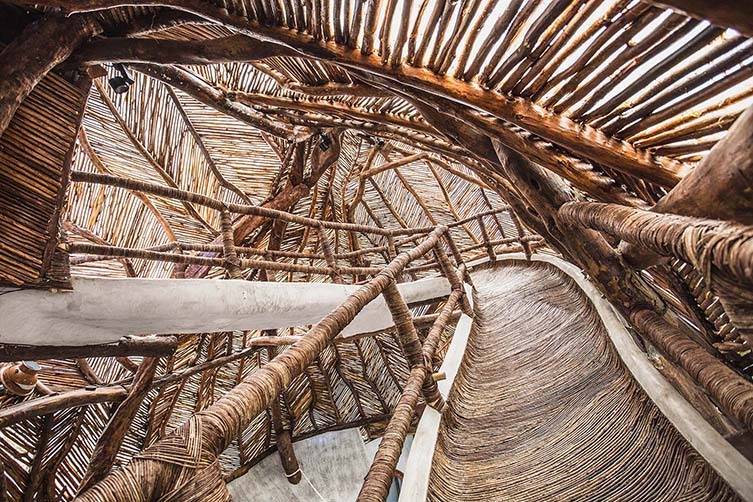 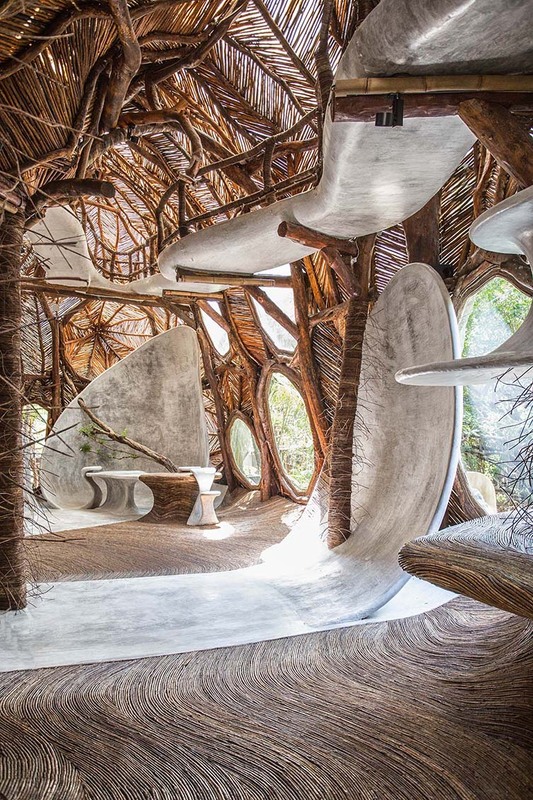 A pioneering contemporary gallery for locals and international visitors alike, the majestic project—a combination of ancestral knowledge, technological innovation, applied sustainability, lived spirituality, and collective experiences—is quite unlike anything else; meaning the Guggenheim name will continue its long association with genre-defying art spaces.